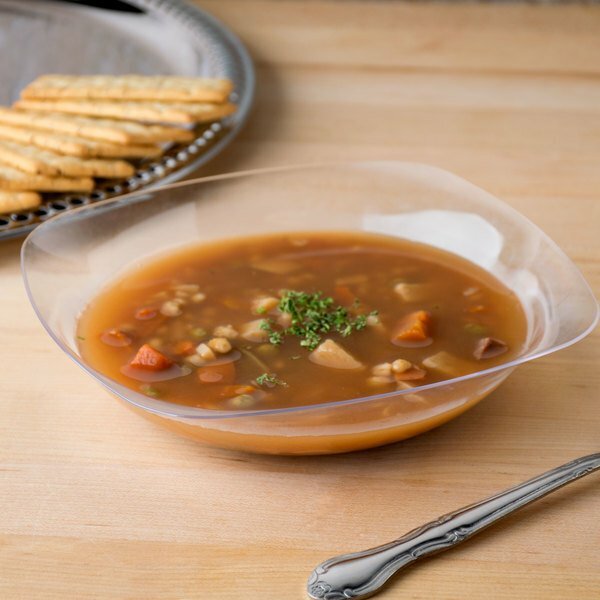 Serve your most popular, mouth-watering recipes in style with this Fineline Renaissance 1512-CL 12 oz. 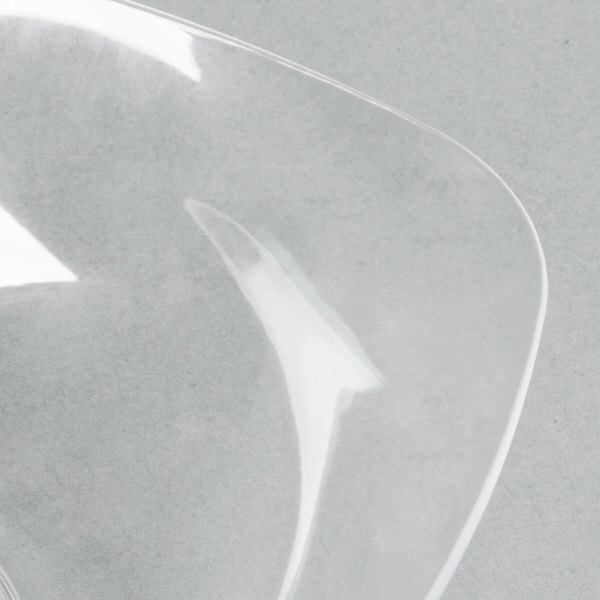 disposable bowl. 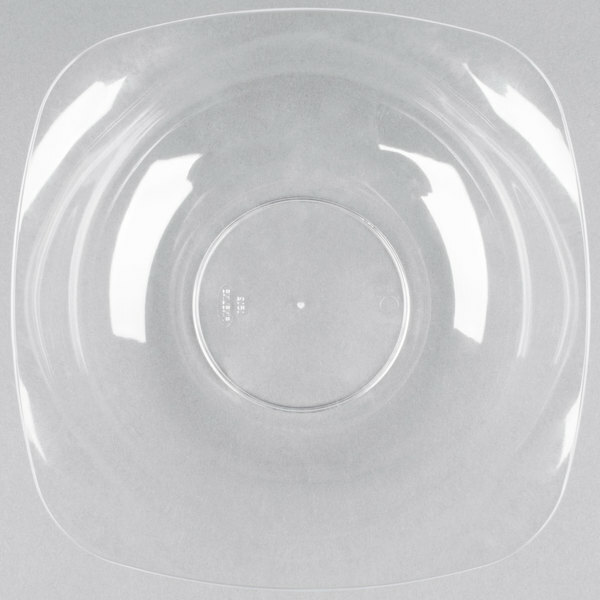 This clear bowl is made of premium plastic to resemble the look and elegance of high-end dinnerware. Use it on your buffet table or food display to add an eye-catching, sleek look to your food presentation. 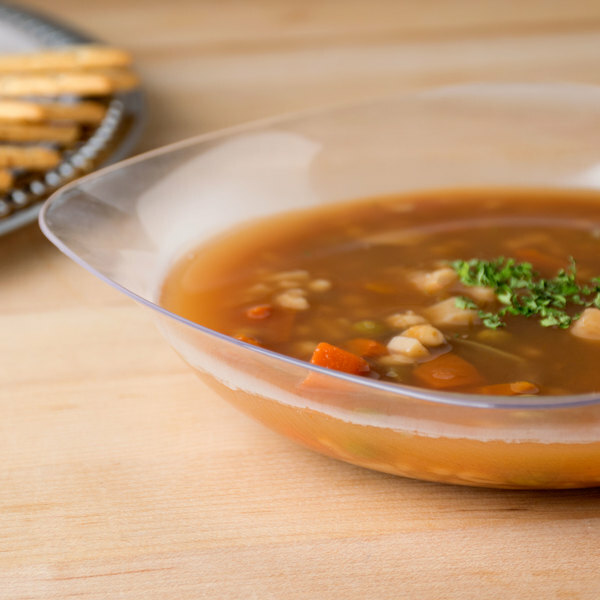 Or, you can serve your best soups, salads, or pasta dishes in this bowl right to customers at their table! The clear color adds a sleek look to table settings and allows for clear visibility of your colorful foods. 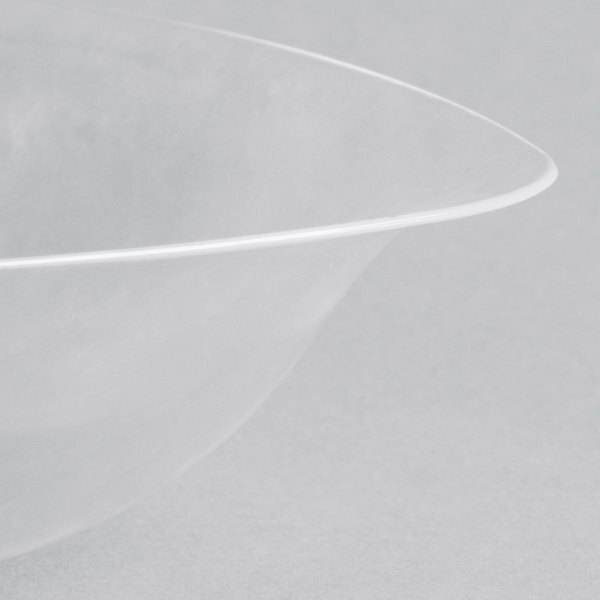 With this disposable bowl, clean up has never been easier. Just toss the bowl in the recycle bin and you're done! Plus, its lightweight design also allows for easy product separation, enabling you to quickly set tables before guests arrive. 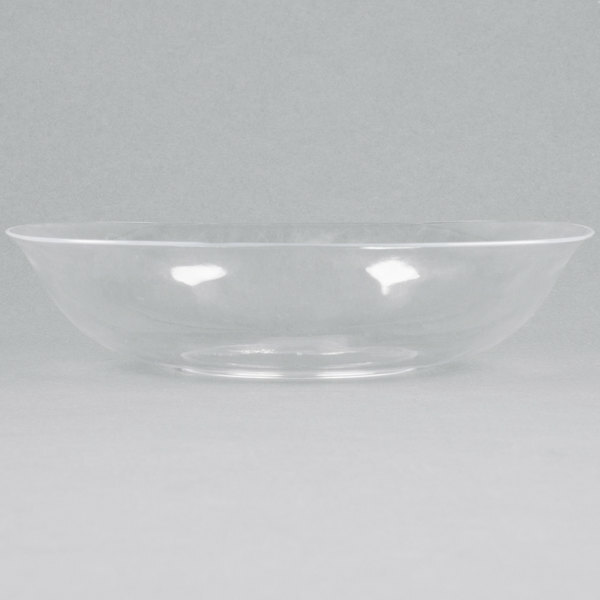 Since it is made of plastic, this bowl is particularly useful at catered or outdoor events where heavy china is impractical and can also be dangerous if the event is poolside. 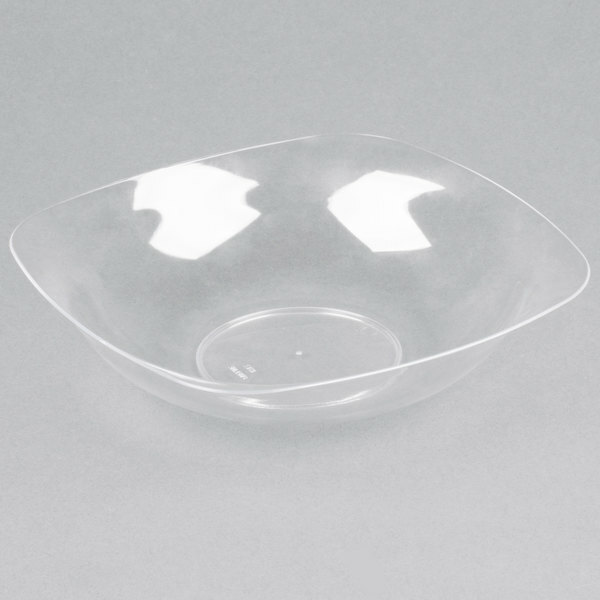 This plastic bowl prevents accidental broken china from interrupting your event and keeps guests safe.